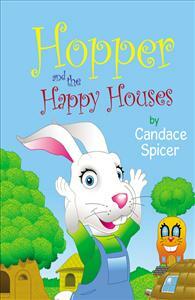 Hopper and the Happy Houses is a fun story that teaches children about the uniqueness of family. Happy houses can be made up of mommies and daddies, grandparents or guardians! Hopper and the Happy Houses is a fun story that teaches children about family and how each one can be different and special. Hopper the hare lives in a carrot-top house with his mother and even though he’s quite happy, he feels that his family is different than most. One day curious, little Hopper tries to figure out what makes a happy house. Mistakenly, he thinks it must be toys and puppets and toast! However, with the help of friends, he quickly learns that happy houses are made up of people who love and care about one another.